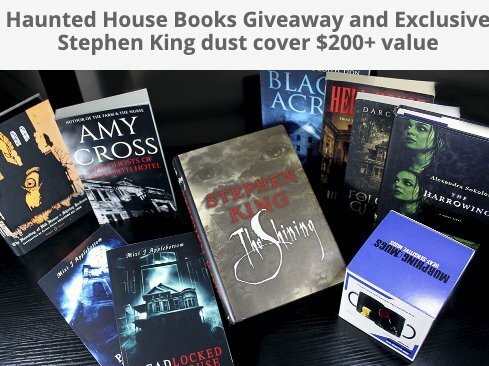 Collection of creepy books from authors like Stephen King, Shirley Jackson, Alexandra Sokoloff and more from Haunted House. ​1980 Stephen King "The Shining" with signed custom signed dust cover from cover artist! !